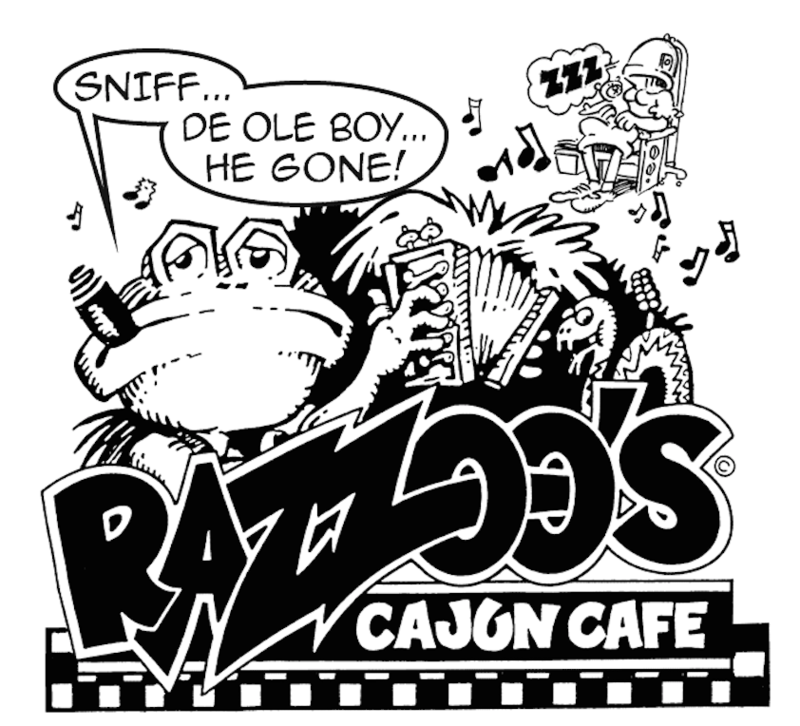 Ever see the Razzoo’s artwork on an ad and think, “yep – that’s Razzoo’s” before you ever see the restaurant name? Our artwork – in advertising, on our menu, and around the restaurant - is fun, eclectic, and unique, and we owe that style to the great George Toomer. George, or “Buffalo George,” as many called him (no one seems to know why), had a unique style, iconic style of art that he lent to many brands during his career, and we were honored to be one of them. In fact, he received over 200 advertising awards during his career, awarded for designing commercial artwork, logos, and icons. His style was truly one-of-a-kind, light-hearted and quirky, just like the man himself. But good ‘ol George, he was more than just an artist. He was a full-fledged jack of all trades. In the 1970s and 1980s, he considered himself a “minor Dallas celebrity,” making a name for himself as a designer, TV personality, writer, and social critic with a comment about just about anything. During that time period, George was making a name for himself in Dallas and beyond. He wrote for the Dallas Morning News and Texas Monthly, as well as People Magazine, putting his signature satirical spin on just about everything he penned. He gave his own restaurant critiques in WFAA’s PM Magazine. He also appeared in his own TV show in Baltimore, as well as making guest appearances on the Today Show, 20/20, the CBS Morning News, and Real People. Basically – Buffalo George had opinions on everything and he was willing to share with just about anyone who would listen. George Toomer passed in 2009, but his legacy at Razzoo’s Cajun Café lives on. We love George’s quirky style and how it’s defined so much of our business at Razzoo’s. He just “got us” and our mission, to bring great Cajun food to great people, and he did it a way that was lighthearted and down-to-earth. We don’t take ourselves too seriously and neither did George. The next time you’re at Razzoo’s and chuckle at the menu art, raise a glass to good ‘ol Buffalo George. It’s what he’d want ya to do.